2006 AP file photo. 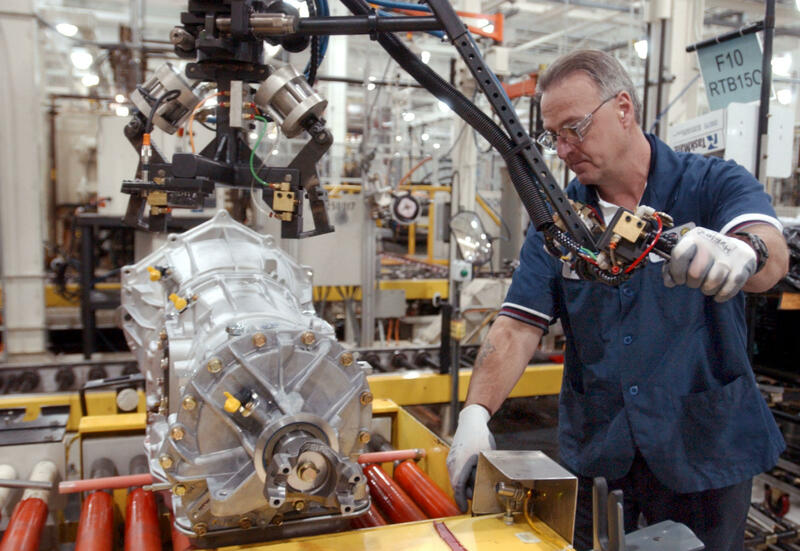 Frank DiGiacomo, a transmission technician at General Motors' Baltimore Transmission, a manufacturing facility in White Marsh, Md., sends a transmission down a manufacturing line. And a corporate fact sheet issued with the announcement said the company was “optimizing capital expenditures” that would lead to an annual cash savings of approximately $6 billion by 2020. But Guy White, the United Auto Worker’s shop chairman at the White Marsh plant in Eastern Baltimore County, was more interested in the billions of dollars taxpayers invested in bailing out US auto manufacturers during the 2008 recession. “The taxpayers gave GM a lot of money to keep them viable, and GM’s now making a lot of money,” he said. “It doesn’t seem fitting that they would just walk away from us. They’ve got plenty of money. He said workers would fight to keep the plant, which makes transmissions for Chevrolet Silverados and GMC full size pick-up trucks, open. But Kip Hinton, the union's shop chairman for contract work, says it will take more than the union fighting. It will take a bipartisan effort. And Johnny Olszewski, a Democrat who takes office Monday as Baltimore County Executive, says he’ll work with Republican Governor Larry Hogan to save the operation. Hogan said in a news conference Monday he would “fight to keep” those jobs. But for Rob Dinatale, the president of UAW Local 239, which represents the White Marsh workers, it comes down to jobs and families. He’s a lifetime GM employee and so was his dad. Dinatale has moved through five different plants to keep his job with GM over the years, and he says it’s hard for him to imagine moving again. The cloosest plant for him would be in Buffalo, New York, or maybe some place in Michigan, Tennessee or Texas. White, the shop chairman, said plant employees work well with local management. It’s the corporate types in Detroit that are the problem. His voice trailed off before he spoke again. He said the workers are in a fighting mood now, and the fight is only getting started.